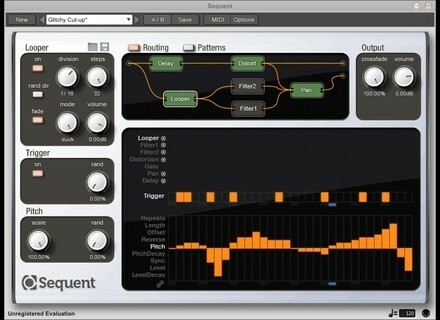 Sequent, Other Music Software from Loomer. Loomer released version 1.4.1 of its Sequent modular multi-effect plug-in to add the AAX 64-bit native format for Pro Tools 10 and 11. Sequent features 7 individual effect modules: a beat looper, two multimode filters (high-pass, band-pass and low-pass) with self-oscillation without audio input, an oversampled distortion, a gate, a panner and a delay that can generate various effects such as slapback, ping pong echo, comb filter or flange. All these effects can be organized in a modular routing section and all the parameters feature step sequencers that will help you create modulation motifs. Version 1.4.1 adds, along with the AAX 64-bit native format for the latest versions of Pro Tools on Mac OS X and Windows, a feature that sets the start step for all the sequencers. The patterns and sequencers now have different step length and Loomer fixed a pitch modulation issue when you swap pattens in the Looper. 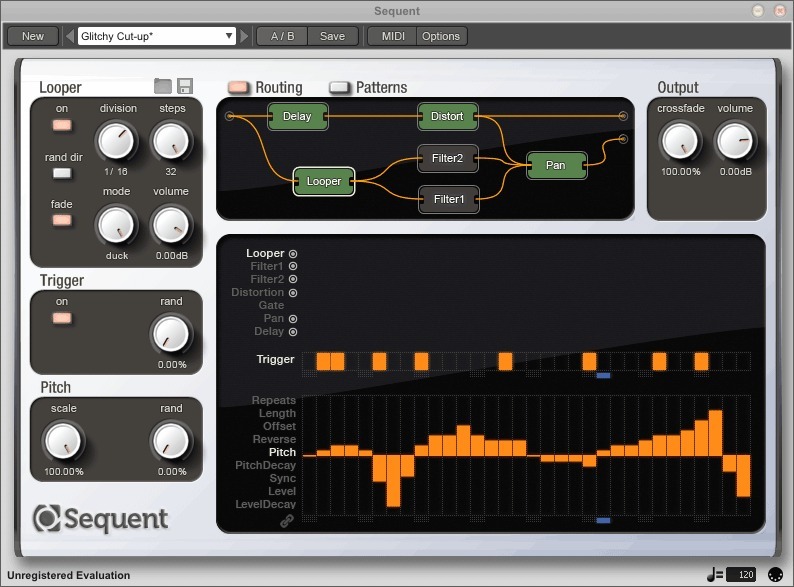 Sequent is a VST, AU, RTAS and AAX plug-in, as well as standalone software on Mac OS X, Windows and Linux. It is available for £49 at www.loomer.co.uk along with a free trial version. The TC-Helicon VoiceLive on the iPad TC-Helicon has launched on the AppStore a new multitrack recorder, multi-effect and looper app for vocalists on the iPad. How to change pitches in single-note melodies and inside chords Celemony Melodyne Editor 2 is a powerful plug-in and standalone editor that can do a great deal of impressive DSP, involving both pitch and time. In addition to corrective work, it can also be used creatively to change melodies, and, even more impressively, change pitches of individual notes inside a chord, allowing you to reharmonize recorded audio. Nugen Audio upgrades its Visualizer to v2 Nugen Audio announces the availability of the second version of its suite of audio analysis tools for recording, mixing and mastering purposes.